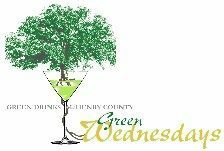 Green Drinks McHenry County – Green Burials, what are the choices? Caroline Vuyadinov, Executive Director of the Midwest Green Burial Society and writer of the weekly blog, Beyond the Pall. Join us at Duke’s Alehouse & Kitchen, 110 N Main Street in Crystal Lake. Head upstairs at Duke’s for info and inspiration, business and pleasure. Come talk about “greening” the future with others. Must be 21 to purchase alcohol – non-alcoholic drinks are available, of course! Chef Zak always has a special complimentary hors d’oeuvre. We have an information table set up and you are welcome to bring information about your green products and services each month to share.